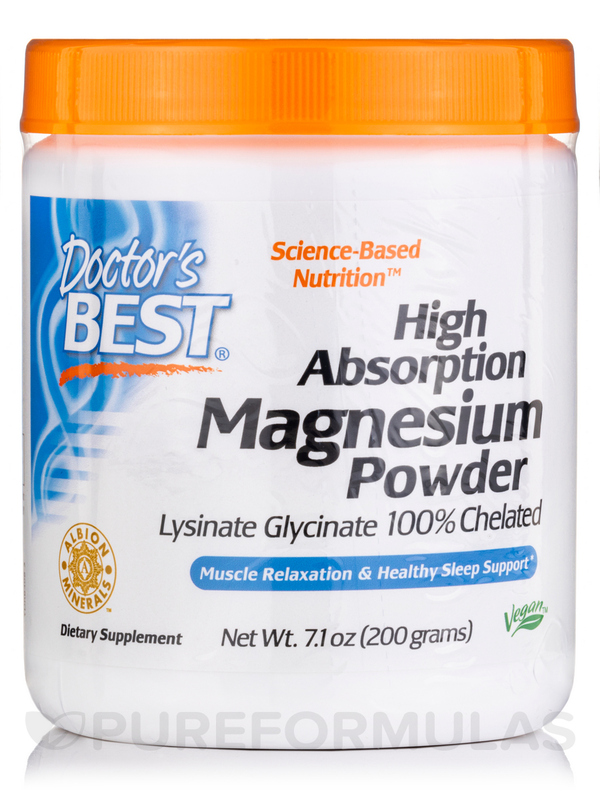 Nice to have a powder like High Adsorption Magnesium by Doctor's Best without added fillers! High Absoprtion Magnesium Powder with TRAACS by Doctor's Best is great to promote digestive process. Helps Support Bone Density‚ Overall Cardiovascular Health‚ Nerve Health and Muscle Function! 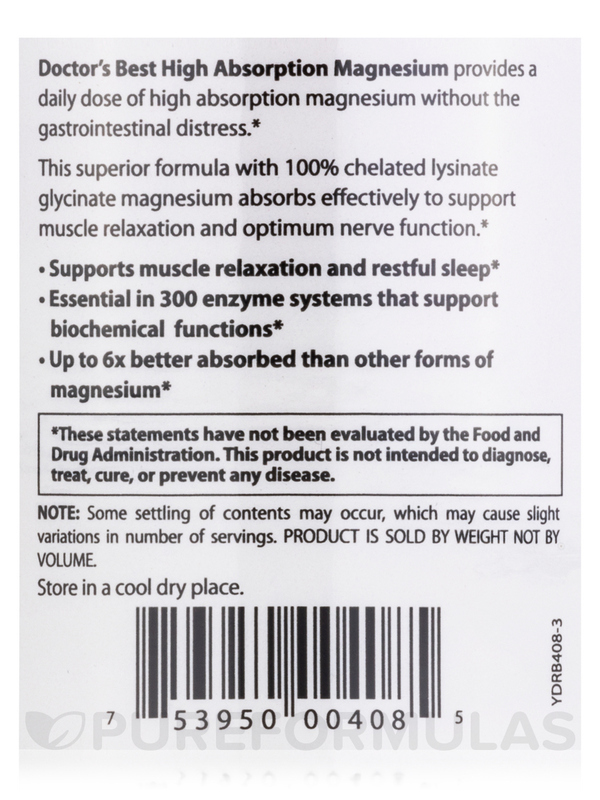 Doctor's Best High Absorption Magnesium Powder with TRAACS® 100% Chelated is a patented‚ organic form of bioavailable magnesium. It is not buffered and more absorbable than magnesium oxide. Magnesium is an essential dietary mineral that is required for optimal function of the cardiovascular system‚ the nervous system‚ skeletal muscle and digestive tract. - Helps support normal magnesium levels that decrease with age. - Contains magnesium chelated with amino acids‚ L-Glycine and L-Lysine‚ providing high absorption. 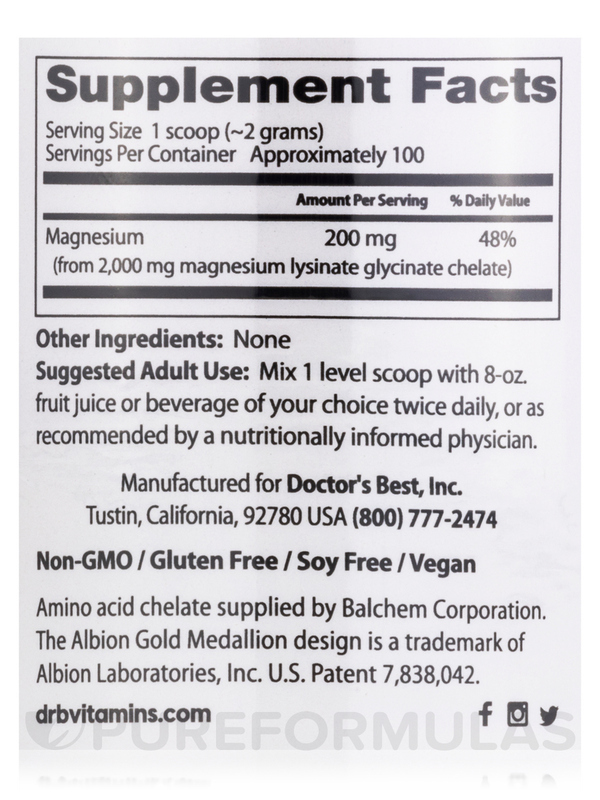 - Made with TRAACS®‚ a patented‚ organic form of magnesium that is 100% chelated to optimize bioavailability. 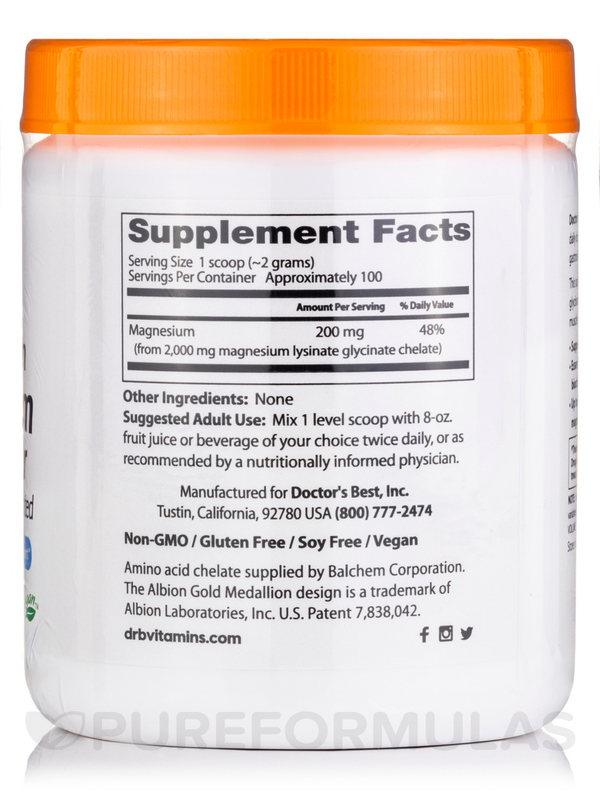 Take 1 scoop daily with or without food‚ or as recommended by a nutritionally informed physician. 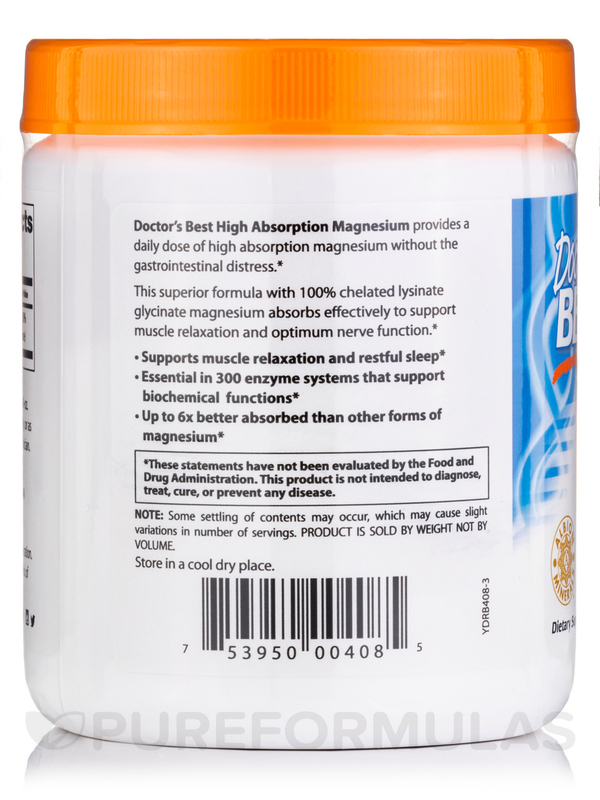 High Adsorption Magnesium by Doctor's Best has been very effective for constipation relief.